For 7 months out of the year, we all get to enjoy America’s favorite pastime…baseball of course! As of now, we are a little more than halfway through the season. Each team plays a minimum of 162 games per season. That doesn’t just seem like a lot of games, it is a lot of games! Now imagine the amount of physical stress this puts on a professional baseball players body. The 162 games a season doesn’t even include the games played during spring training, which takes place throughout the month of March. This can lead to lot of overuse injuries for many players. Baseball players at the collegiate level, and those in high school, don’t have as grueling of a season, however, they spend most of the year preparing for the 5 month long season. As young athletes that are still growing and developing, this can cause even more serious types of injuries, including those caused by overuse. This exercise is for scapular stabilization. The scapula (shoulder blade) uses the rotator cuff, a group of tendons and muscles, to rotate, which is essential for a baseball player. The action of throwing in such an explosive manner can lead to issues with the scapula. By using the TRX to form T’s, Y’s and I’s with your arms, you are reducing the risk of injury by stabilizing the shoulder blade. This exercise may look simple, however it is critical for strengthening the rotator cuff muscles. 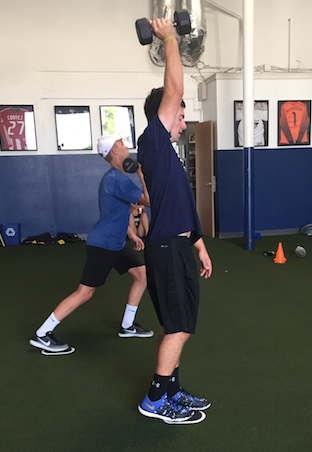 These muscles allow for the motion of overhead throwing, and in general, all movements of the shoulder blade. 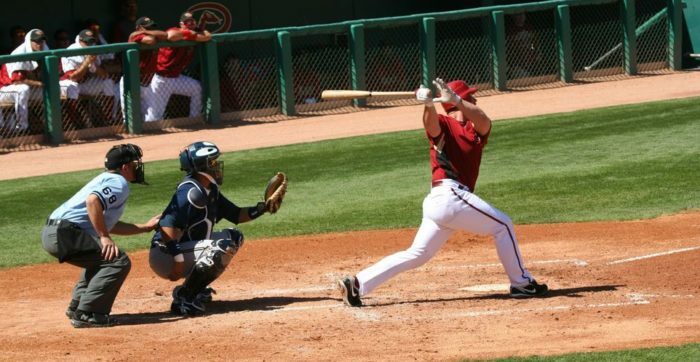 Stronger muscles are less likely to tear or strain under the pressure of constant throwing and swinging. This exercise encompasses leg strength, core strength, and shoulder strength, which is from the motion of the overhead press. All three influence an athlete’s explosive power pertaining to throwing and swinging. Core strength is essential for preventing injuries of the obliques, and also the lower back. 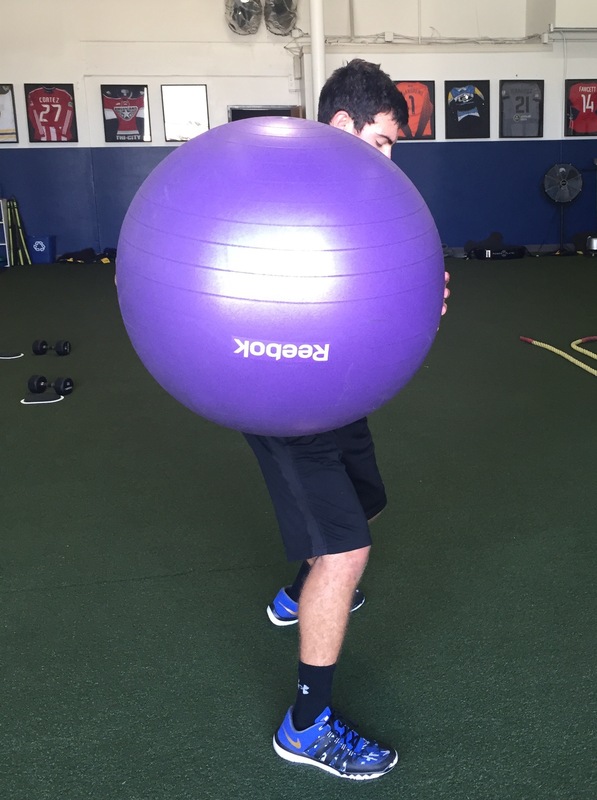 With this exercise I suggest you use a weighted medicine ball. 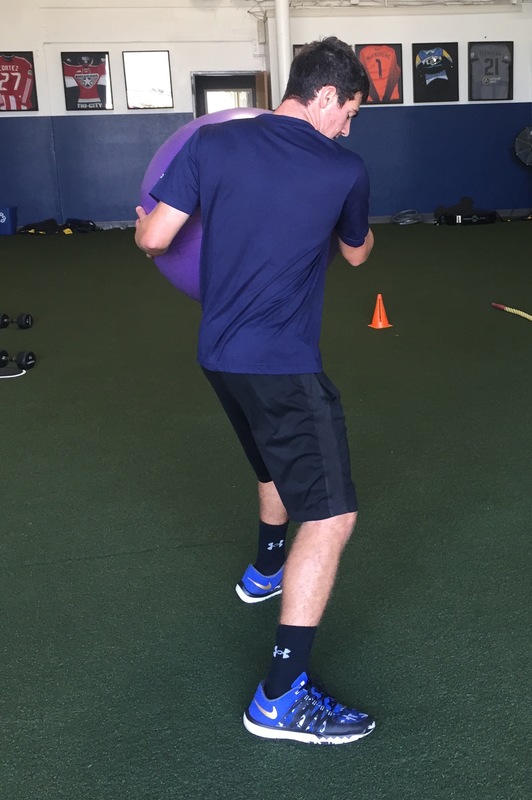 These exercises are to improve bone stability and strength in the muscle groups commonly used by baseball players to reduce injuries caused by overuse, poor mechanics, and weakness. 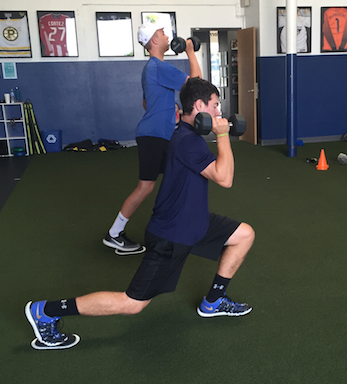 Baseball season for younger athletes may not start till the spring, but it’s never too early to start strength training in preparation for an awesome season!